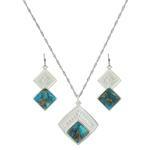 A beautiful silver plated jewelry set with compressed copper turquoise stone. Earrings hang on hypoallergenic French hooks. 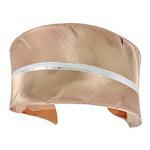 Dress up your look with this stunning rose gold feather cuff bracelet. 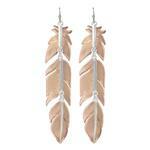 Beautiful dangle earring set plated with 24 karat rose gold. 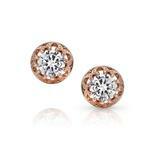 A beautiful large, round clear stone sits upright in a rose gold plated stud earring. Features hypoallergenic stainless steel post backs.